Free UK P&P. Dispatched within 10-12 working days. International delivery available – please choose at checkout. 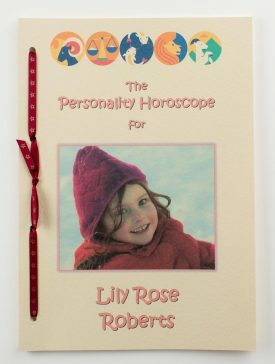 Through this captivating Baby’s Astrological Report, parents will discover their child’s true needs, nature and potential. Talents and interests will be identified as will the child’s thinking style plus the sort of things likely to bring pleasure and contentment. An invaluable keepsake, the Baby’s Astrological Birth Report puts parents in the very privileged position of being able to understand, nurture and guide their child, helping them to find and follow their own path in life. 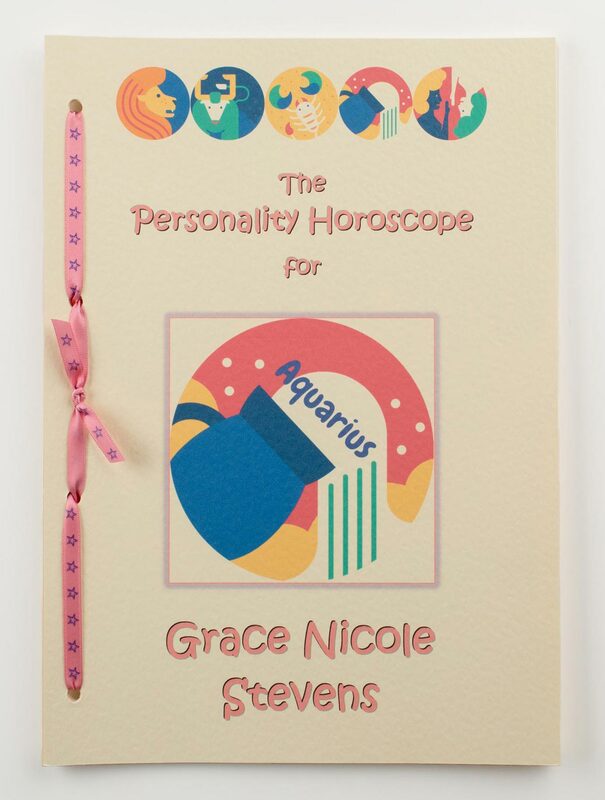 Whether you’d like one of these personalised birth chart reports so you can catch a glimpse of the adult your precious child is destined to become or you’re looking for a truly unique New Baby gift, the Baby’s Astrological Birth Chart Report will not disappoint. Makes a very special and unusual present for all parents of little ones. Buy this personalised gift for newborns securely online from AstroSense. This 14 page hand-bound Report costs £28 including free UK postage and will arrive beautifully presented with a pink or blue ribbon. All that’s required is the time, date and place of birth. Dispatched within 10-12 working days. Ordered this for my grandson. 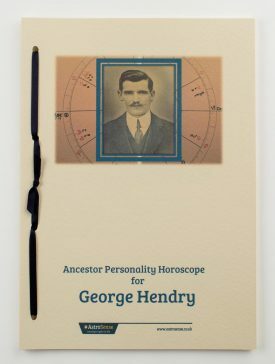 A beautiful unique gift that can give a little insight as to how his personality may develop, according to the stars and the position of the planet at the time of birth. A very interesting read. Highly recommend. Bought this for my new grandson. My daughter in law thoroughly enjoyed reading it. If you’re looking to buy a gift that’s different and unique, you won’t be disappointed. I bought this for the birth of my nephew and was thoroughly delighted when it arrived. A lovely gift! Bought for a friend’s baby. Yes would recommend, they were thrilled with it. Birth gift for granddaughter, over the moon with it. I bought this for my first Grandchild and it is a lovely keepsake for her and her parents. It’s beautifully presented and will be a great Christmas present. Great idea, well produced and the recipient loved it! Delivery was prompt and beautifully packaged. Very in-depth and exquisitely written with wonderful interpretations of the future to behold. 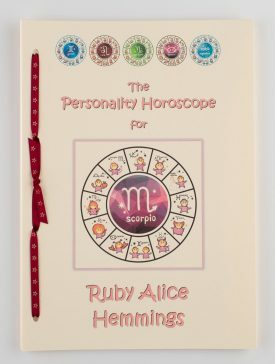 I bought this Baby’s astrological chart for a friend as an unusual gift and it was that- great information, well set out. We received our grandson’s Astrological Chart in time for his 1st Birthday and were really surprised and impressed at the quality of the chart.We just know our daughter and son-in-law will love it and show it off to all their friends. 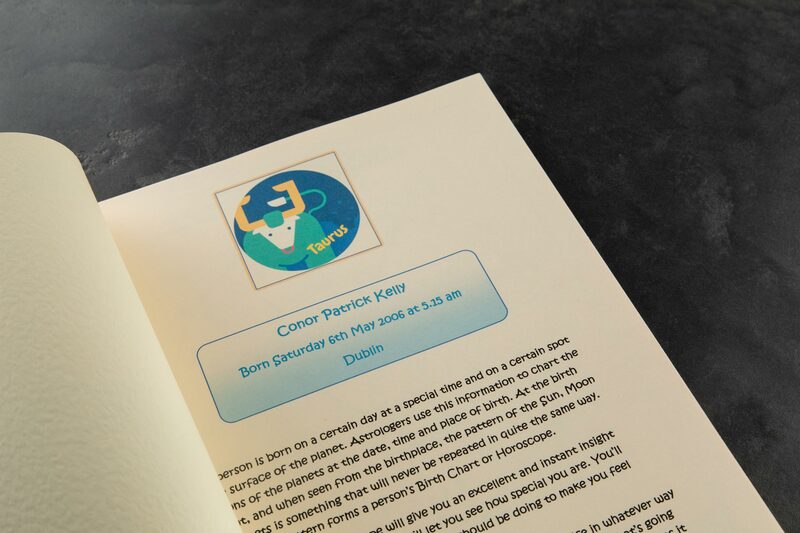 the layout and setting was excellent with focus on our grandson’s character and personality within his birth sign now and in the future.It’s certainly a keepsake for us and our grandson in years to come. I’m absolutely delighted with Georgina’s Birth Chart. 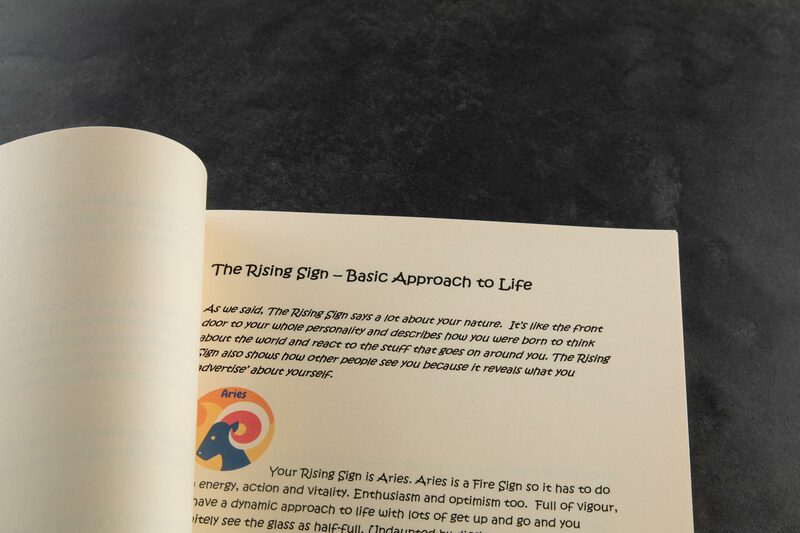 I was very interested in Astrology about 40 years ago and found that when all the aspects were involved it got quite complicated. 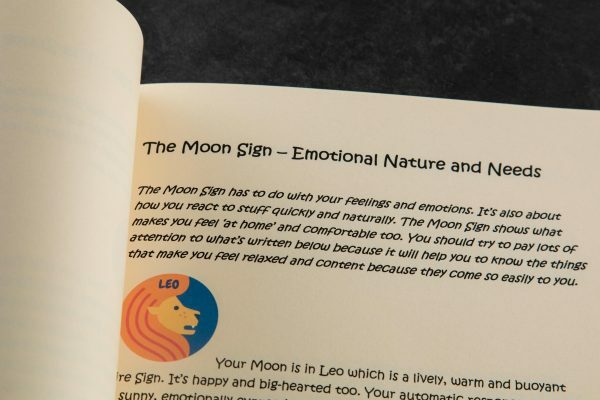 Your chart was very concise and clear to understand and beautifully presented. Thank you very much. 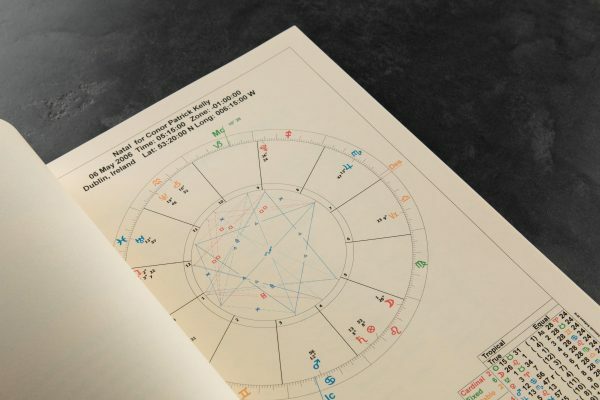 It’s the 5th time I have purchased the baby’s astrological Birth Chart. . . . niece, nephew, godson and two friends’ children! Great personalised gift and something very different! Ordered chart for a Christening present. Product arrived promptly and well packaged. Perfect unique gift. Will definitely purchase from this Site again. Bought for my grand daughters 1st birthday. Lovely!! New grandson. Very efficient service and I was impressed with the product. 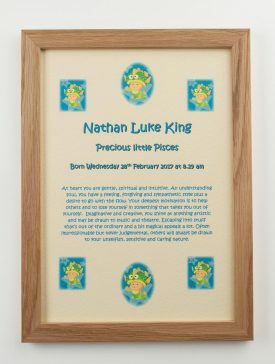 I got this for my cousin’s baby’s christening gift – something a bit different than the usual christening gift and something I think as a mum you would always be interested in the content of. I wanted something different for the birth of my great nephew instead of the usual gifts available on most internet sites and high street stores. I certainly found a unique gift and one which was very interesting. Good quality and would highly recommend. I bought this for my grandson’s christening and was fascinated with the book. Really good. For my god daughters christening.